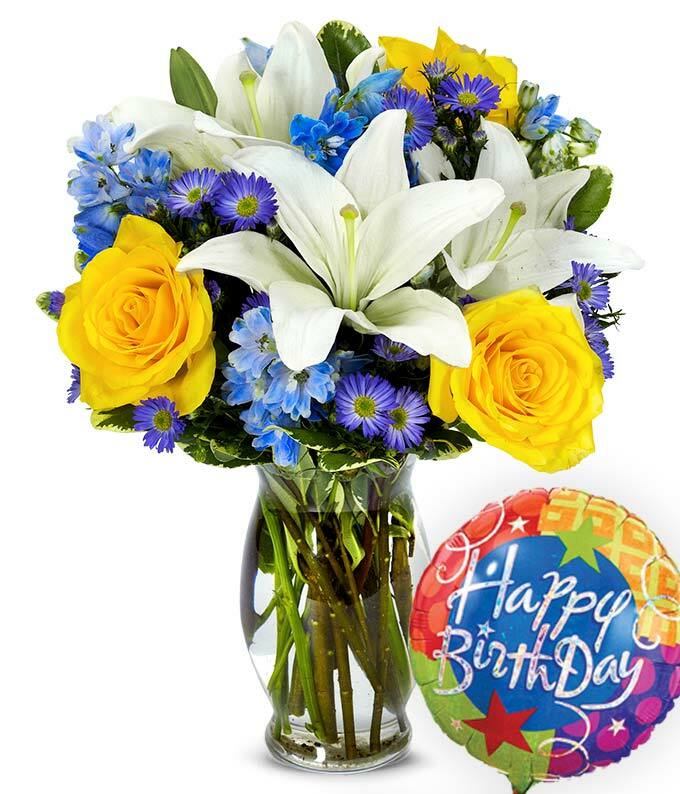 Celebrate their birthday with a stunning floral bouquet that is hand arranged by one of our top notch local florists. This beautiful arrangement included white Asiatic lilies, yellow roses, blue delphinium and purple Monte Casino blooms...all creatively designed in a clear fluted vase with a blue satin ribbon and delivered with a birthday mylar balloon. Measures 13"H by 10"L.